Do you have a resident that is slow to pay or slow to correct a violation? We all do from time to time. As you may know, it only takes one or two slow-responding residents to cause financial stress. But, NOW there is a tool and free service available to rental owners that WILL motivate many residents to respond immediately. You must first understand that you need to hold your residents accountable, so that there will be consequences to their rental performance while living in your property. 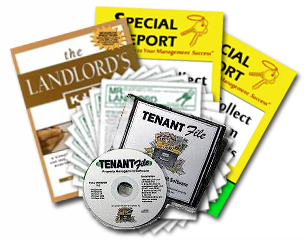 One very effective way, which I call the "Report Your Resident" strategy, is to notify new residents at the beginning of the relationship, and remind them throughout the term that they will be accountable for their rental performance and both their good and bad performance will be made available to future landlords and creditors. Reporting your resident's performance can have positive benefits that help the resident establish or keep a good credit report and resident rating. Mention to all your residents that you do a review of each resident's performance every six months and will provide a GOOD performance report for residents who pay on time and follow all terms of the agreement. Let residents know that you keep a copy of the report in their file, for all who inquire, and you will also print a copy of good reports and give to residents, so that they can have for their records and use with future landlords or creditors. The flip side, of course, is that a poor performance report can hurt their credit/tenant report. Inform residents that unfavorable performance reports will be made available to future landlords, banks, mortgage companies and other creditors whom inquire and who the residents may want to do business with in the future. Most residents don't realize that their performance can be made available to others, including reporting debts to all three credit bureaus, so it will show up on the resident's credit report. That is because most rental owners are not aware that they can utilize this effective strategy and service on this site to report resident's debt. Make it clear to residents that performance reports they establish with you (good or bad) may affect them for many years. Assure, a resident however, that it is your goal to always notify the resident as soon as a rental violation occurs and give them an opportunity to dispute or immediately correct any poor performance before it is put in or on their records. You now understand the Report Your Resident policy. To see a sample WARNING form to notify residents that you will be reporting their performance, CLICK HERE . One question landlords want to know is: Whom do you actually report a resident's debt to should that become necessary? There are good collection agencies that you can work with to do this. I'd like to recommend one which has partnered with MrLandlord.com to provide the service for landlords who visit this site, which has provides this service to landlords, property managers, and small (do-it-yourself mom and pop) rental owners. The simple online reporting tool is available right on this site. The cost of the service is only $12.95 to report a resident's debt to all three credit bureaus. This service is gaining national attention and becoming one of the most effective and inexpensive tools for rental management anywhere. 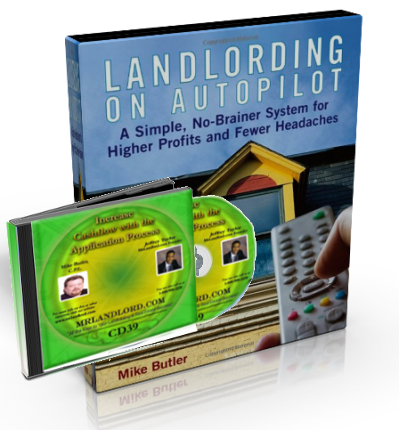 There are very few services on the internet which come even close to it, and there are several tremendous benefits why every and all landlords should use this service every time a resident vacated your property still owing you money. You can now put new residents on notice that their renting performance will be made available to future landlords and creditors who inquire, and that the information will become part of their rental record. If resident's are at all concerned about what future creditors may find out, this strategy, when employed by landlords and managers, should command the resident's attention right from the beginning of the rental relationship and should help to make paying rent and rental performance a top priority! You will get your rents more promptly and have less late payment problems during the tenancy. When a resident fails to pay on time, you now have a tool to greatly increase the chances that the payment will be paid immediately. A common problem that landlords/property managers have is residents, who for whatever reasons, don't pay the rent on time. You may send the proper legal notice the day after the rent was due and not paid. Some landlords/property managers offer a discount for early payment. Others add a late fee when permitted by law. But, even these small charges are often not enough motivation to get residents to always pay promptly or to even pay within 3 to 5 days of the due date. The Resident Your Reporting policy gives the resident a very important reason to pay. Residents are put on notice that if they pay on time or correct a rental violation within 72 hours after notification, unfavorable information will not be placed and kept on their rental record. A notice to report your resident's unfavorable information is also an excellent paper trail. A resident paper trail can be especially helpful, for example, if your lease states that you can evict them after two or three late rent violations a year. Your resident will correct lease violations promptly. Some common violations are; keeping a pet when you have a no-pet policy, allowing unauthorized persons to move in, creating disturbances by having loud parties or unruly guests, not repairing damages to the property or having health, community or safety violations/hazards on the property. Many of these negative situations can and will be corrected promptly by putting the resident on notice that the problem will be reported on their permanent records if not immediately corrected. Once your residents know that you are serious about taking care of your property, by using the notices, many situations will be resolved before becoming a problem. I hope you are seeing the full vision of this Report Your-Resident policy. This idea has been used on a small scale by a few landlord groups or associations, but they primarily wait until after a resident leaves before they report any performance. THIS IS A BIG MISTAKE. The power and major benefit of using this strategy is not to punish past residents. Nobody wins when you have to actually report a resident. They have a bad report/tenant record, and you have less money or damaged property or both. INSTEAD, your goal should be to ENCOURAGE COOPERATION of current residents. That is why it is critical to notify new residents of your report a resident policy and immediately remind them of it (with a notice) if they break a lease violation so they have an opportunity to CORRECT the problem. If all your problems are corrected promptly this is a WIN-WIN situation. 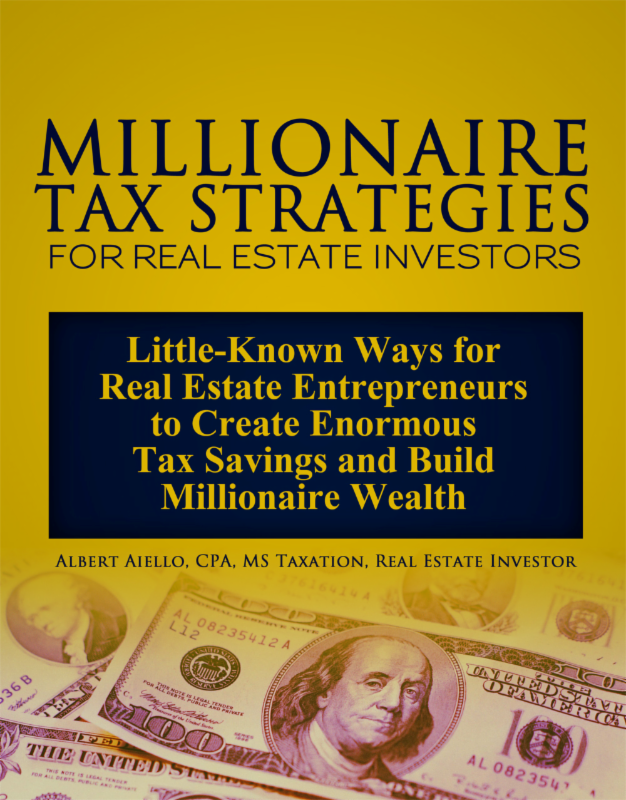 You have a cooperative resident and he keeps a good tenant/credit record and rating. At the beginning of all rental relationships, notify all new residents of your policy to report performance, (both good and bad) of all residents. If a resident breaks a rental term (i.e. non-pay or upkeep violation) you immediately send them a letter notifying them that they have 72 hours to correct the violation before unfavorable information is reported on their rental records and becomes part of their tenant record. CLICK HERE to see a sample or to print this notice. If the resident does not correct the violation within the specified time period, use the Report Your Resident Service Form on our website - www.mrlandlord.com to record this information for your files. If the resident corrects the violation, inform the resident that NO unfavorable information has been added to their records, and thank them for their prompt cooperation. As an on-going reminder of your Report Your Resident Policy, every 6 months, inform good residents that they will e provided with a GOOD resident report that they can use with future landlords and creditors to help rent or buy a home or automobile in the future. If a resident leaves still owing money for unpaid rent or damages, use the Report Debt Service right on this site to report money owed by resident to all three credit bureaus so that the debt will appear on the resident's credit report.